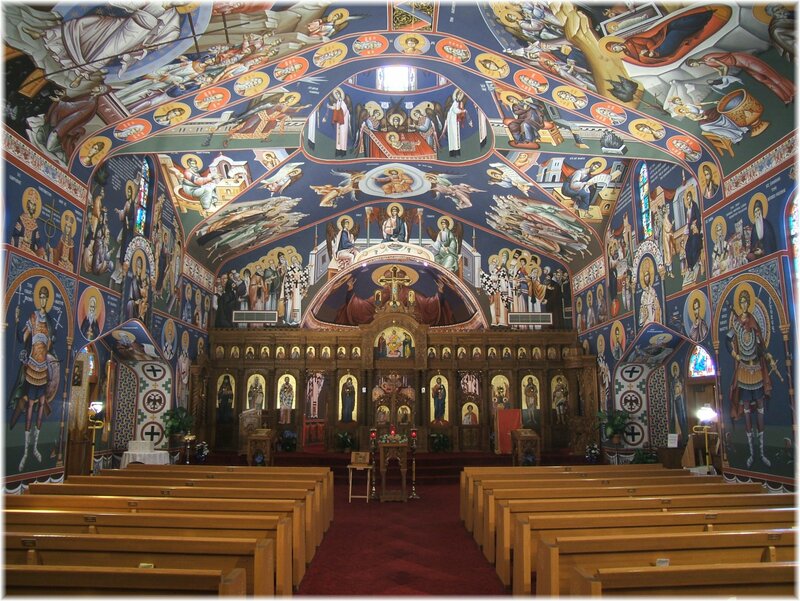 You are invited to come experience Holy Trinity Orthodox Christian Church in Butte Montana. We have regular services at 10:00 AM Sunday mornings, and you may also call to schedule a church tour. August 3rd (Saturday): Please join us for our second annual Serb Fest!! There will be Serbian food and music, church tours, marketplace of Butte Stuff and religious articles. It will be a full day of fun and fellowship. September 9th (Monday): Football dinner: an evening of Monday night football on the big screen for four people per ticket ($120) with an all-you-can-eat spaghetti and fried chicken dinner and open bar. BUT, most importantly, with a raffle for four tickets to an NFL game and $2,000 to cover expenses. Five $100 raffle tickets will also be drawn that night. Need not be present to win any of the raffles!! September 22nd (Sunday): Wine Class: Four hours of entertaining and helpful information about choosing and enjoying wines of all varieties, taught by Fr. Russell. Cost is $5 per person, no rsvp's necessary. Must be over 21 to attend. October 10th (Sunday): Please join us for our 13th Annual Wine Tasting event from 6-9 pm, 50 different wines will be available to taste, accompanied by a variety of delicious finger foods and desserts to round out the evening. Must be over 21 to attend. Cost is $45 per person. November 24th (Sunday): Wine Raffle winners will be drawn, awarding 25 bottles of wine to each. Tickets are $25 with sales starting at same time as Wine Tasting ticket sales, continuing until the 24th. Need not be present to win, but must make arrangements to pick up the wine from Holy Trinity. Spend 20 days experiencing the art, history, literature, culture, religion and traditions of Serbia, Greece, & Turkey!!! The trip is open to Montana Western Students and community members. Cost is approximately $5,000 which includes airfare from Bozeman, Montana, transportation, hotels, museum fees, breakfast and dinners. Space is limited, so act now. For more information, please contact one of the people below!